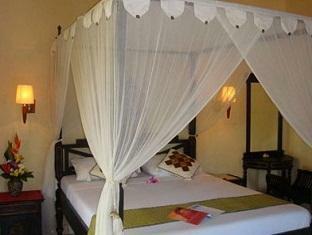 The 1-star Puri Asri Villa offers comfort and convinience whether you’re on business or holiday in Bali. The hotel has everything you need for a comfortable stay. Car park, shuttle service, restaurant, laundry service/dry cleaning, airport transfer are there for guest’s enjoyment. Designed and decorated to make guests feel right at home, each room comes with separate shower and tub, balcony/terrace, mini bar, hair dryer, bathtub. The hotel’s peaceful atmosphere extends to its recreational facilities which include outdoor pool, spa, garden, massage, pool (kids). Discover all Bali has to offer by making Puri Asri Villa your base.